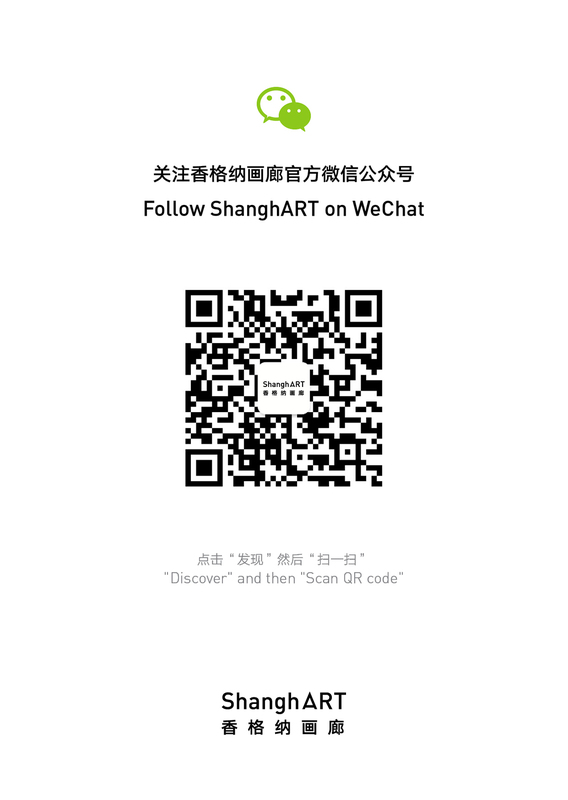 pressrelease: ShanghART Gallery is pleased to present the exhibition Selection at H-Space. The show presents a diversity of mostly new works ranging from painting and photography to installation, all characterized by their strong formal qualities. Projects by established and celebrated practitioners such as Yang Fudong, Zheng Fanzhi and Wang Guangyi are shown along with mid-career artists like Zhang Enli, Zhou Tiehai and Ding Yi, and young stars Xu Zhen and Yang Zhenzhong. The first part of Selection is devoted to, what might be termed, ‘aesthetics of politics’; here, Zhou Tiehai displays two large-scale paintings Libertas, Dei Te Servent (Giuliani) (2002) and Bonjour, Monsieur Courbet! along with the sculptural research project Judge, Diplomat, Minister where the titles alone indicate a critical acknowledgement and attitude to society’s powers. The paintings being juxtaposed to Yang Zhenzhong’s Litterbins (2006) is a subtle, but provocative, comment to the fatigue of today’s political climate. Also on display are Wang Guangyi’s extensive series Aesthetics of Cold War (3 out of 9) that deal with memory, propaganda, iconic social realism and its iconoclasm. Themes that are also recurrent in Wang Youshen’s Announcement Board I-III (1991-2006) depicting imagery dating back to the revolution era, such as the ideal communist hero Lei Fang. The second part of the exhibition is themed around the ephemeral and the poetic with centerpieces such as a series of photos from Yang Fudong’s stunning video epos No Snow on the Broken Bridge (2006) and the series Honey (2003). Also characterized by their idiosyncratic notion of beauty and stillness are Zheng Fanzhi’s Untitled (2007,) Zhang Enli’s paintings Double Happiness (2006) and Drawer (2007). The fragility of Liang Shaoji‘s silk-sculptures’ further emphasize the importance of quiet contemplation. Other paintings in the exhibition include Ding Yi’s Appearance of Crosses, Li Shan’s Reading (2006), and Liu Weijian’s Crossroad (2007) and Properties (2007).